no adjustments and it is immediately ready to work. We are glad to invite you to visit our booth 1063 at the Testing Expo China in Shanghai, China from 25 to 27 September 2018. We are glad to invite you to visit our booths at the Automechanika trade show in Frankfurt, Germany from 11 to 15 September 2018. 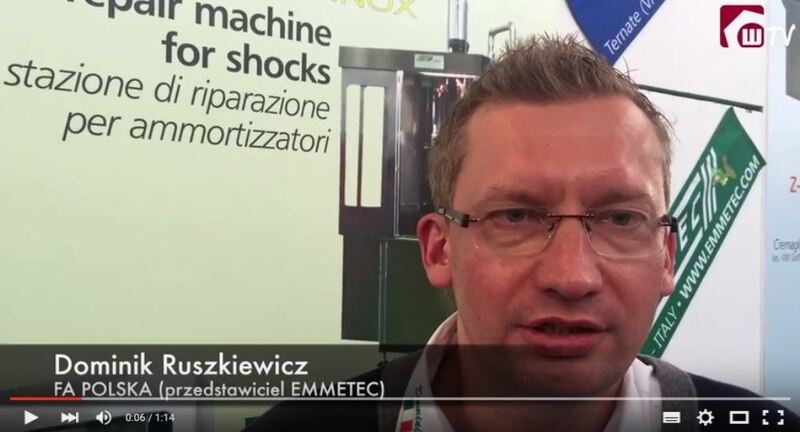 This year we will exhibit in two different booths: in addition to our usual exhibition space (Hall 3.0 / Booth D01), that this year is much bigger to host our main technologies, we also take part to the Hall of Innovations (Hall 2.0 / Booth A55) with another booth dedicated to our most recent machines and test benches. The exchange of the complete electronic module with an equivalent spare part, allows a quick and easy repair. We recommend to check / change always together with the electronic module the brush holder (V-04024), the brushes V-03007 / V-03007A) and the rotor (T-00013 o T-00013A). One of the components which are subject to normal wear is the brushes. Using our brush holder plate the changing is quick and easy. We recommend changing the rotor (T-00013 o T-00013A) as well. Spare brushes for an economic repair. Mounting these brushes to the original brush holder plate you can receive original functionality. We recommend using new springs (V-03008) and rotor (T-00013 o T-00013A) as well. Another component which is subject to wear is the Rotor. The thickness of copper on the commutator wears from the contact with the brushes. It may seem to be still quite good, but the hours of work require tribute. 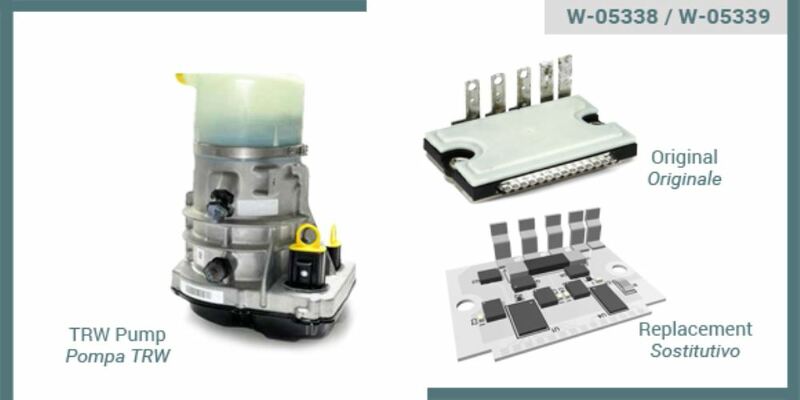 We recommend changing the brushes (V-04024 o V-03007 / V-03007A) together with the rotor. In case of a total defect or particular function problems, you should change the complete circuit board against our equal spare. Our board provides the same functionality as the original board. Please always check first MOSFET and other electronic parts. You can change the ground plate in case of mechanical / structural defects or bad conditions. It’s possible to mount all other components from the original plate to the new plate. Quite often, the MOSFET fail with an internal short circuit on pumps with a lot of working hours. A repair can be done by changing these components. Please check always the circuit board and the other electric components as well. In case a broken connector is the only defect of the pump, our repair kit is a very economic solution. You can recreate the original form and seat for the connector seal and locking. Corrosion on the circuit board can be cause by humidity entering through broken or connectors or old seals. This circuit board filters the electric power supply. By changing this you can receive the original functionality. This component may get damaged by a worn out rotor. The diode protects the electronic against tension peaks. If you find a short circuit on the pump, it could be cause by this diode. The correct pressure from the brushes to the commutator is reached by these springs. If the pressure is too low, there will be a bad contact, sparks and high brush consume. We recommend to change the springs on every repair and always together if changing if using new brushes or a new rotor. 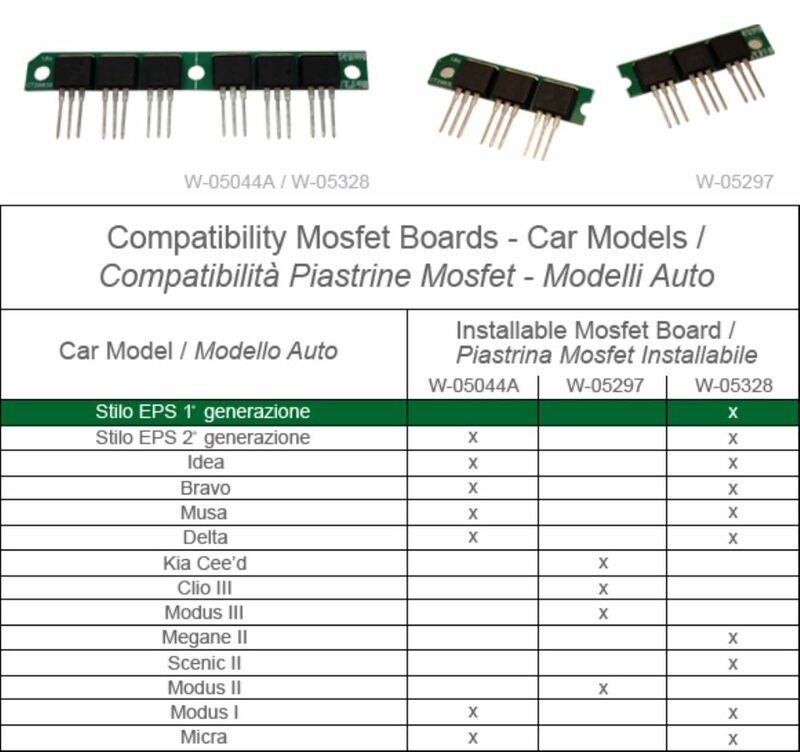 All those and more spares for the original circuit board can be found in our catalogue. Under: W-S0050 (page 272, catalogue 2016) (online: www.emmetec.com/en-us/eps/devices/50).